A Spotsylvania County man has won first prize at the State Fair of Virginia and set a new fair record for largest watermelon. 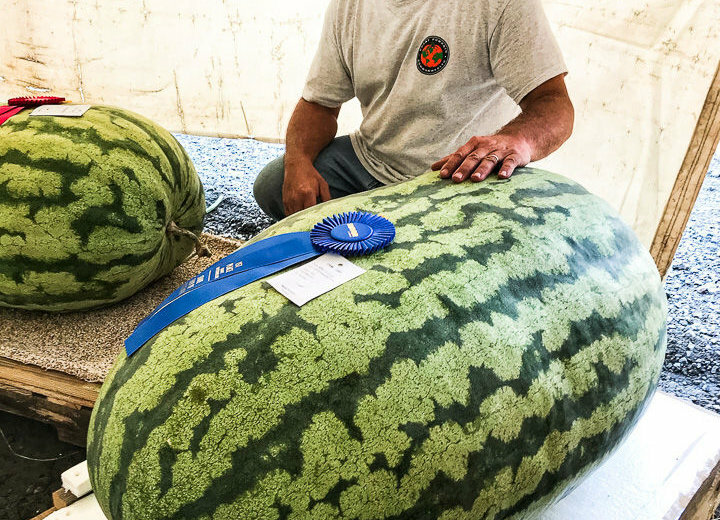 DOSWELL, Va. (AP) — A Spotsylvania County man has won first prize at the State Fair of Virginia and set a new fair record for largest watermelon. 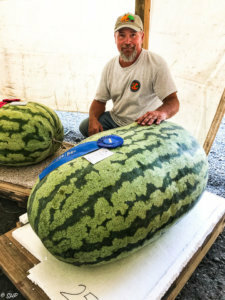 The Free Lance-Star reports it took four men to load Hank Houston’s 254-pound (115-kilogram) melon into a truck for transport to the fair in Caroline County. Houston says the watermelon is the “grandson” of the previous record holder. It was grown from a seed that came from a melon grown from the seed of that 245-pounder. Among the many steps Houston took to care for it was building a mini-greenhouse to protect it from this summer’s heavy rains. What’s next for the melon? Houston says he’ll keep it around for a while to show off. After that, it’s headed for the compost because it’s too over-ripe to eat.